Dr. Juhn G. Liou (Professor Emeritus, Stanford University, USA; born in Taiwan in 1939) has long been the international leader of the studies on water-rock interaction and low-temperature, high- and ultrahigh-pressure metamorphism, and has also contributed to the education and nurturing of marked students in the Japanese geological community. Dr. Liou graduated National Taiwan University in 1962, and got his Ph.D. at University of California， Los Angeles in 1970 by his study on stability relationships of zeolite, prehnite, pumpellyite, and epidote, and further developed his study toward water-rock interaction, low-temperature metamorphism, high- and ultrahigh-pressure metamorphism, and related orogenic processes through his academic careers in the Manned Spacecraft Center of NASA (now Johnson Space Center; 1970-1972) and Stanford University (1972-present). Through this long period, he made academic exchanges with many Japanese researchers and conducted a number of cooperative researches. After his first academic stay in Japan in 1978 by Guggenheim Fellowship, he frequently visited Japan as a cooperative research fellow or associate staff, and actively communicated with a wide range of Japanese researchers including graduate students. He accepted Japanese young researchers and postdocs as his associates, and helped them to enter the international scientific community. 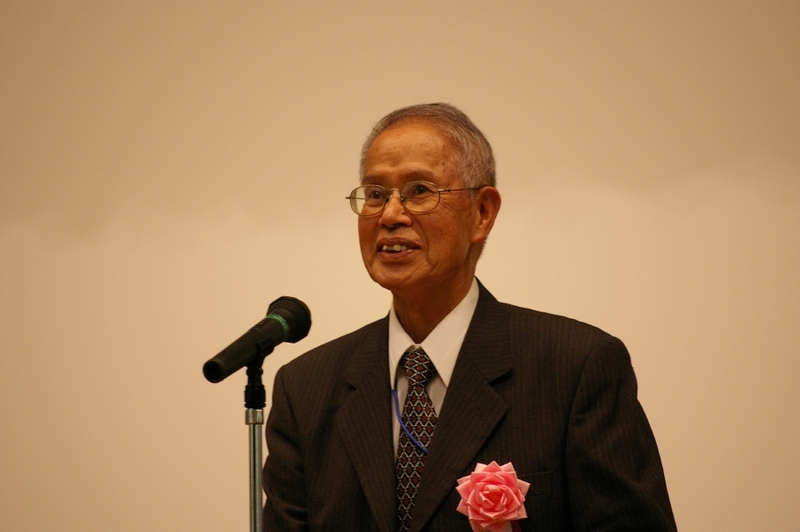 Dr. Liou published 342 scientific papers and 10 books so far, and was nominated as one of top-10 most-cited earth scientists by ISI Web of Science in 2007. It is notable that 106 of his papers are co-authored with Japanese, and 3 out of 9 special issues of international journals that he edited are published in “Island Arc”. His academic accomplishments were widely recognized by such honors as Mineralogical Society of America Award (1977), Fellow of Mineralogical Society of America (1978) and Fellow of Geological Society of America (1979) that he received in his early career. Dr. Liou’s long-term contribution to international geological cooperation and education of young scientists from Asia, especially from Japan, was also publicly acknowledged in USA by his nomination for NSF Center of Global Partnership Fellow (Japan) in 2000. He retired in 2005, but he still works hard for nurturing young scientists and developing geological communities in Asia as an editor of scientific journals such as “Island Arc” and “Asian Journal of Earth Sciences”. Based on the reasons as noted above, we recommend Dr. Liou for the 2010 International Award of the Geological Society of Japan.